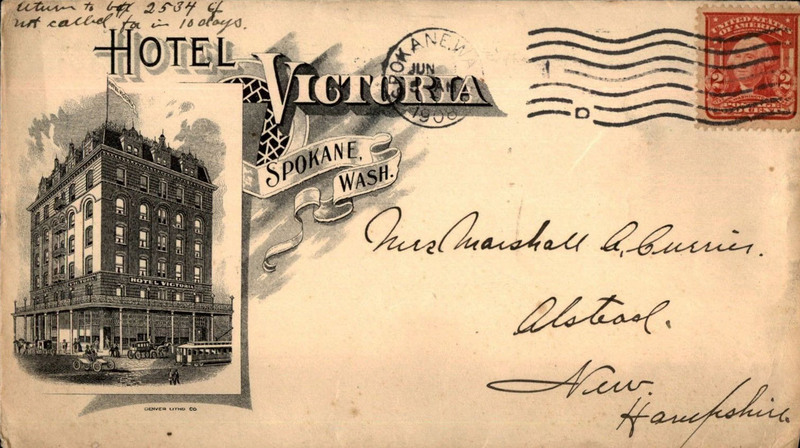 "Most modern and up-to-date hotel in Spokane. Rooms single or en suite with private bath. European Plan. Rates $1 and up. Elegant cafe in connection. Large sample rooms for commercial men." "We make you "feel at home." 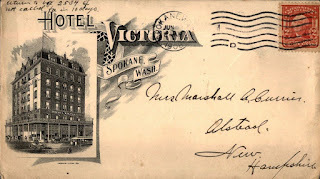 Spokane's most centrally located hotel. First at Wall. Wm. G. Goude, Manager. Main 3251."